Meet the Master, Rob Battocchio of the Aust Day Aquathon! We've had trail runs, gears and beers, triathlons and most recently we caught up with Australia Day Aquathon Legend - Rob Battocchio who is celebrating 20 years of the event in 2019. This event has such a rich history we just had to share the story! 1. How did you first get involved in the event world? I was introduced to ‘biathlons’ as they were known then, in 1988 at age of 16 and found I was hooked! Once I got my first taste I went on to become a competitive triathlete, racing around Australia and Europe. In the 90’s there were a host of swim-runs, and they were very popular. We raced across Sydney Harbour in front of the Opera House, to Darling Harbour and Luna Park and even featured on TV with the “Ironman versus Triathlete" series at Coogee beach. The Sri Chimnoy team held an annual ‘biathlon’ at Wollongong harbour which attracted a couple hundred people. In 1999 the organiser decided to move on and the event was cancelled. I was 23 and just starting my career in teaching (PDHPE), I got together with a friend one night for dinner and ‘few’ wines and he said “mate you need to put on a swim-run to replace the Sri Chimnoy. Do it your way and I’ll throw a few bucks in". . . I spoke to a another friend to assist and reached out to a few local and well at as they say the rest is history! 3. What is the best thing about the event world? 4. And… What is something that's not so glamorous about your job? There’ a few, but it’s the nature of the game. . . Uncertainty in weather and conditions and people not entering until the last minute (or not! 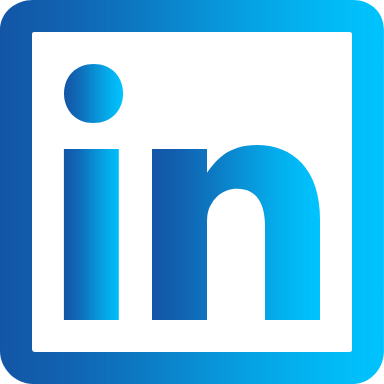 ); increasing costs, risk management and regulations, attracting sponsorships; financial risk; competition from often out of town events with big budgets and the next ‘fad’. As a small to mid-level event director I manage nearly all operations from start to finish so it is tricky to balance along with two other jobs and places stress on the family. I have some terrific people / clubs that provide support each year, without whom you could not put the event on without. It’s definitely not a financial incentive, still, there are a lot worse jobs. Events are for the people and I respect everyone that decides to take part and value our events. 5. With the Australia Day Aquathon celebrating its 20th Anniversary this year share with us a couple of your most memorable moments over the last two decades? There are so many, though hard to pin point just two….. Whilst having had so many international stars take part as three-time winner and Olympic Gold Medalist Gwen Jorgensen, whom would joke “Aquathon is the unofficial world champs’ and 3X world Ironman champ Craig Alexander take part with his children huge highlights, I would still say that watching hundreds of children and parents in the Kids Aqua still my most memorable as a collective. Also; I never thought the event would grow past 1000 participants, this was around 2009; and become inclusive with people of all abilities taking part, an achievement we are very proud of. 6. You’ve had a few “special guests” participating, can we expect to see any cameos in this season’s event? Sometimes they just pop up unannounced so 2019 will be interesting, Craig Alexander is likely to be there with his family, an annual tradition for them, and the new generation of up and comers as Nathan Breen from HPT Triathlon the current U23 World Aquathon Champ should make for an interesting race at the top. In the past we have had NRL footy stars, to a young Sally Fitzgibbon of world surfing fame, and local celebrities. With the 20th anniversary we hope to see a few returning faces and new one’s take part..
7. Can participants expect any special treats in celebration of the anniversary? Sure can! We have added finisher medals for all Aquathon participants and added some new divisions as business teams. We always aim to work on new safety improvements and ways to enhance participant value and experience. Our website had a refresh offering more preparation and content to assist people prepare. There will be some cool new prizes up for grabs and give aways and more interactive exhibitors. The newly finished revamp of the "blue mile" cycle path which features in the first and final kilometer is nothing short of spectacular. A 6m wide path along the coastal footpath offers a sensational view and experience! We also have a fun "Run-Walk-Roll" and in 2019 have aimed to provide a spectacular 4k course that all ages can take part. A fun, themed 20th anniversary is on the cards! 8. Obviously the spectacular location is a massive draw card for the event, what else makes this event so special that people keep coming back and participating in year after year? It’s a combination, I would like to think - the iconic history and the that way we aim to celebrate all whom take part. Being held on Australia Day is a major factor, and the event is relaxed and family friendly. Watching elites charge over the course to mostly novices and some dress up in costume. There are not many events you can race shoulder to shoulder with elites, or side by side with your children, or as a family including grand-parents. 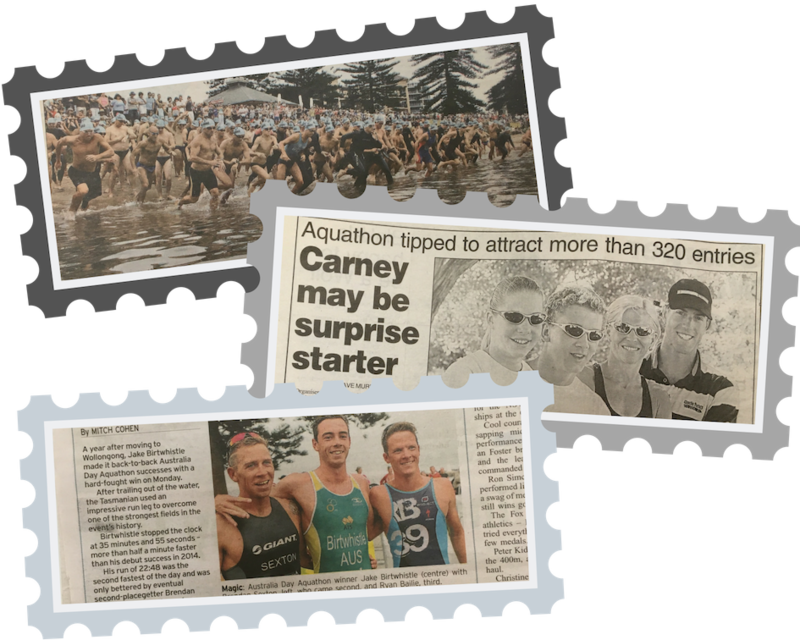 Aquathon feels special, the crowds come out to cheer and make everyone feel like special. With such a mix of abilities and ages, all having a go or fun, or a race, its very cool! 9. Finally, Rob, when you are in control of the music, which song do you pump loudly? Control, when does that happen?! My go to is ‘gentle acoustic’ newer generation singers are amazingly talented. I also love the classics of my youth - Bruce Springsteen, Cold Play and Bon Jovi! Check out some of these old snaps of the Australia Day Aquathon that Rob has dug out of the archives for us! To Register for this special milestone event click here!